The Genesis Community Loan Fund provides innovative financing by soliciting investment loans from individuals, churches, corporations, and foundations, and then re-lending the money at favorable terms to nonprofit organizations developing affordable housing and community facilities for underserved people and communities throughout Maine. A certified Community Development Financial Institution, the Genesis Fund helps some of Maine’s most vulnerable populations: single parents and their children, low income working families, the elderly, homeless individuals, and people with disabilities. We’ve moved! To better serve our statewide partners the Genesis Fund is now located at 22 Lincoln St Brunswick. The Genesis Community Loan Fund was founded in 1991 by several MidCoast faith-based organizations as a revolving loan fund to provide financing for affordable housing. Offering flexible, innovative financing to Maine nonprofits who were finding it difficult to obtain conventional financing, the Genesis Fund wrote its first two loans in 1992. These loans created affordable housing units in Bremen and Wiscasset that are still in existence today. As these loans were paid back and additional investors joined, the Genesis Fund grew and began making loans for vital community projects like health and child centers and facilities for people with disabilities in underserved communities across Maine. Additionally, The Genesis Fund provides technical assistance to local nonprofits to create these projects. This professional assistance includes development planning, feasibility studies, financial projections, finding additional sources of funds, and grant writing. In 1996, the Maine Community Loan Fund transferred its assets and loan portfolio to the Genesis Fund in order to increase efficiency and impact. 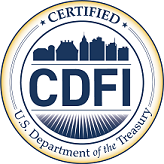 The Genesis Fund was certified by the US Department of the Treasury as a Community Development Financial Institution (CDFI) in 2001 and re-certified in 2014. More than twenty-seven years later, the Genesis Fund has lent over $45.7 million to more than 240 projects to create affordable housing and vital community facilities. The Genesis Fund serves all of Maine, with its office at 22 Lincoln St in Brunswick. The Genesis Fund creates statewide impact by helping Maine people wherever the need is the greatest. Bill has served as Executive Director of the Genesis Community Loan Fund since June 2007. Prior to the Genesis Fund, Bill served as Housing Director for Shalom House, Inc. where he developed and managed supported housing and rental assistance programs for people with serious mental illness. In the 1990s Bill worked for the Department of Mental Health, Mental Retardation and Substance Abuse Services as the Director of the Office of Housing. Bill has been involved in developing housing and providing services for people with very low income and individuals with disabilities since 1979. Bill serves on the Northern New England Housing Investment Fund’s Board and previously served on the Community Development Advisory Council for the Federal Reserve Bank of Boston. Prior to joining the Genesis Fund Bill served six years on the Board of Directors, including two as chair. 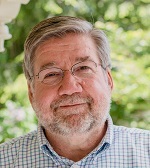 He is past chair of the Maine Affordable Housing Coalition’s steering committee, past chair of Mobius, Inc. and previously served on the Maine Association of Nonprofits’ Board. In 2015, Bill received the Joseph Brannigan Community Excellence Award in recognition of his more than 30 years of work and advocacy to improve affordable housing in Maine. Liza joined our staff in 2005, bringing to the organization her experience in community development, project management, and fundraising. At Pathways for Women YWCA, she directed efforts to secure community resources to support emergency and transitional housing for homeless women and their children. Prior to Genesis, she worked as the Development Manager at Maine Initiatives, a nonprofit foundation that supports community organizing and advocacy. Liza holds a B.A. in American Studies from Smith College and a Master's in Social Work from the University of Michigan. Liza serves on the Maine Affordable Housing Coalition Board and recently completed the Citi Leadership Program for Opportunity Finance. 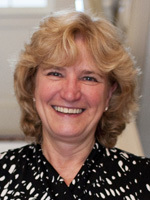 Jane joined our staff in 2008 as Director of Development. Previously she was Director of Campaign at United Way of Mid Coast Maine in Bath. In addition to her passion for creating stronger communities, she has an extensive background in sales and marketing in the for profit sector. 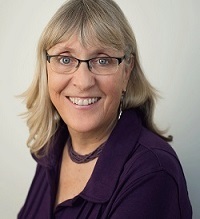 Jane has served on the Georgetown Financial Advisory Committee, the Southern Midcoast Maine Chamber of Commerce Board, and the Membership and Development Committee of the Kennebec Estuary Land Trust and is a corporator of Bath Savings Institution. Jenny joined our staff in 2016 as Director of Finance and Administration, bringing over a decade experience in both nonprofit management and community-based work. Jenny brings a particular interest in building strong internal financial and operational systems, as well as a passion for housing and community development she first cultivated as the leader of her college's campus chapter of Habitat for Humanity. 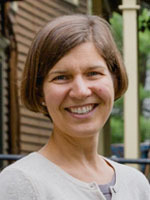 Prior to joining the Genesis Fund, Jenny worked as Managing Director at the Environmental Health Strategy Center, as Organizing Director at the Maine People's Alliance, and as a staff person at the Center for Community Change. She has also served as Treasurer or finance committee member on several nonprofit boards. Jenny holds a B.A. from Dartmouth College and a Masters degree in Public Policy and Management from the Muskie School of Public Service at the University of Southern Maine. She has obtained a Certificate in Community Development Finance from the Carsey School of Public Policy at the University of New Hampshire and is a graduate of the Lift360 (Formerly Institute for Civic Leadership) Leadership Intensive. Joining the staff in 2016, Mary Anne is an accounting professional with over 30 years experience in fiscal management for both for-profit and non-profit organizations. She earned her BS/BA in Accounting from Northeastern University and has C3P Certification. After almost 20 years in the travel business she became the Vice President of Finance for a YMCA in the Boston area. In 2006 Mary Anne and her husband Chuck Eldridge moved to Maine. She has spent the last ten years working in the affordable housing industry preparing underwriting analysis, HUD contract renewals, market comparability studies and applications for tax-credits and AHP grants. Eileen became a member of the Genesis Fund team in the summer of 2017, filling the role of Administrative Coordinator. 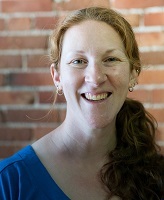 Eileen has over fifteen years of experience managing a wide variety of Maine based business enterprises. Most recently, Eileen served as Office Manager and Bookkeeper for Rocky Coast Lobster, a wholesale seafood broker with operations in the Mid Coast. Eileen's prior experience includes office management, customer service, and bookkeeping roles at a garden center and plant nursery. 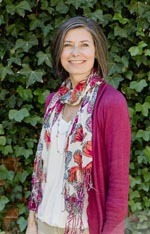 Earlier in her career, Eileen worked as a copywriter at a Portland advertising agency and as marketing coordinator at a children's book publisher in New York City. Eileen hails from Newcastle, is a graduate of Lincoln Academy and holds a B.A. in history from the University of Southern Maine. In her free time, she serves as Treasurer for the Bath Middle School Parent-Teacher Association. She lives in Arrowsic with her husband and two children. Prior to joining the Genesis Fund, Erica worked with New Ventures Maine/University of Maine Augusta for ten years in asset, business and workforce development. She also worked in fundraising and development for Maine Audubon, EqualityMaine and other nonprofit organizations. 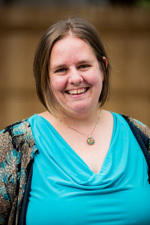 Erica has served on several boards and committees including Maine Coalition Against Sexual Assault, Maine Humanities, Maine Community Foundation, Maine Women's Fund, Maine Initiatives, MaineShare, Wintergreen Arts Center, Momentum Aroostook, and Maine Downtown Center of the Maine Development Foundation. She holds a B.A. in Political Science from New College of Florida and an M.A in American and New England studies from University of Southern Maine and was a Foreign Language and Area Studies Fellow in Canadian-American History at the University of Maine. Erica is a 2018 graduate of Leadership Maine and was recognized in 2011 as the Maine SBA Women in Business Champion and a MaineToday Media "Forty under 40" Emerging Leader. In her spare time, she composes a cappella choral mustic and teaches horse back riding. Nina Andersen got her start in the nonprofit and accounting world in the remote village of Chignik, Alaska where she served as the first Municipal Clerk of this small indigenous community of approximately 100 people. Family connections and childhood roots in New England brought her to Maine in 1987. 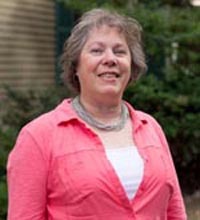 Here she continued providing financial and administrative services for local governments (Town of Falmouth and South Portland) and nonprofits (MANP, Creative Portland, Environmental Strategy Health Center, LARK Society for Chamber Music, PORT Opera, Dempsey Center for Quality Cancer Care and the Cancer Community Center).Nina is also a clarinetist, conductor and teacher of students from age 10-90. She plays regularly with the Shifting Winds Woodwind Quintet, Coastal Winds Community Band, and Pan Fried Steel Drum Band and enjoys occasional musical theatre and chamber music gigs. Her recent endeavors include starting a New Horizons Concert Band for Adults aspiring to learn to play an instrument and becoming the Music/Program Director of the Adult Band Camp hosted annually in August by Snow Pond Center for the Arts on the historic New England Music Campus on Messalonskee Lake in Sidney, Maine.